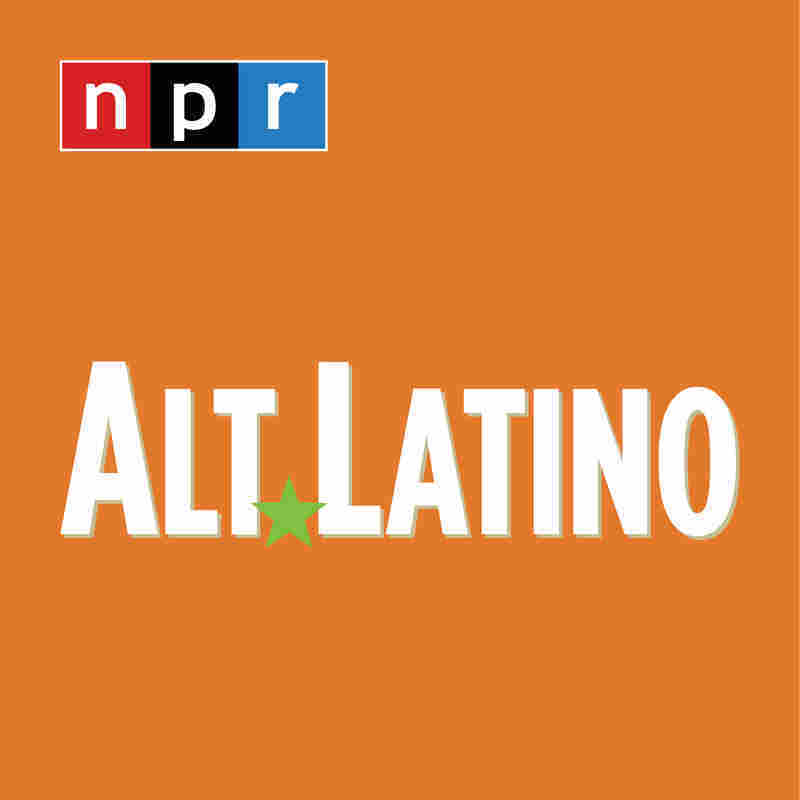 Un Poquito Más Duro, Un Poquito Más Suave: New Music From Latin America : Alt.Latino An Argentine DJ mixes one of the most iconic Latin Alternative songs with a rock and roll classic, Colombian champeta and bullerengue get remixed, and a Cuban soul singer bound to make you swoon. Chilean rapper Ana Tijoux finds her tough side in her new album, La Bala. When I went to school at the University of California, Berkeley, there was an infamous building called Dwinelle Hall, a labyrinthine structure reminiscent of M.C. Escher's Relativity. There was a running joke that freshmen would enter the building and finally figure their way out by graduation. And there was a myth about the building — the wings had been constructed by feuding brothers who refused to cooperate or even consult with each other, hence the crazy staircases and dead ends. The truth about Dwinelle Hall, I only recently found out, is that it was originally two separate buildings that were connected well after they opened. In a lot of ways, this week's Alt.Latino reminded me of Dwinelle Hall. Usually Felix and I work together on producing each show, comparing our picks and deciding what our theme will be. Will it be a rock 'n' roll show or have a hip-hop vibe? But I was sick during the pre-production week, lying in a pile of Kleenex in a cold-medicine stupor, imagining I was on a beach somewhere in the Caribbean. Which is why I dragged myself to the studio with a handful of songs that pretty much sound like a party on a yacht in Paradise. Then I realized Felix had decided to do a show with very mellow, even melancholy, music ideal for a rainy winter day. So we decided to do both. 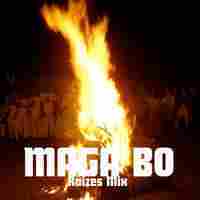 We start off this week with danceable remixes and party starters in Columbian flavors. We really have it all: the champeta attack of La Makina Del Karibe, the Caribbean stylings of El Guincho (in an unexpected but very lovely duo with Chilean electro pop princess Javiera Mena), Novalima's unique blend of Afro-Peruvian tradition and international club music, and DJ Maga Bo's fantastic remix of Colombian Bullerengue icon Petrona Martinez. 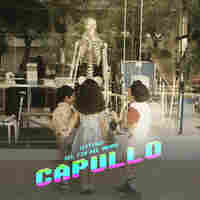 As an added treat, we throw in a downloadable track by Argentine DJ Alonso Morning, whose work I could listen to all day, every day. Sometimes we play bands that take classic American rock songs and translate them into merengue and cumbia for their kitsch value (Tropikal Forever comes to mind). But DJ Alonso Morning is taking that art to a whole other level. He stitches two songs together so impeccably, he literally fuses them into something completely new. The song "Matadoors," his fusion of Los Fabulosos Cadillacs classic "Matador" and The Doors "Break On Through (To the Other Side)" is a great example. Then we cool down with Felix's music picks: a slow smooth track from Rodrigo y Gabriela's new album and a mellow song from Colombian-Cuban duo Alejo Aponte y Latonera. And just to prove that I can mellow out, too, I share something from Danay Suarez, a Cuban artist I'm simply enamored of, with a cosmic Caribbean chill reminiscent of India.Arie or Erykah Badu. I'll confess that I am completely obsessed with this woman, and if you give her a listen, I'm sure you'll understand why. This is probably one of the messiest, most schizophrenic shows we've ever done. And you know what? It's one of my favorites. We're literally all over the place and I love it. So, whether you are like me, arriving at the recording studio with a huge cold, wrapped in a blanket and deliriously holding a coconut drink in hopes of being whisked away to a warmer climate, or like Felix, showing up in a cozy sweater with a cup of cocoa, I think you'll find something to get into. All these musical hallways and staircases lead somewhere good. Un Poquito Más Suave, Un Poquito Más Duro: Nuevas Canciones Desde Colombia, Cuba, Y Toda América. sido construidas en forma separada por dos hermanos que se odiaban a muerte, cuyas compañías de construcción eran rivales. La realidad es que la construcción fue originalmente planeada para dos edificios separados y esto dio lugar a un bizarro espacio interior. Escher. Engripada durante la producción, entre un mar de pañuelos y medicamentos, me imaginaba a mi misma en una playa caribeña. El resultado es un manojo de canciones preparadas para el estudio de grabación que parecen una banda sonora para una fiesta en un paraíso tropical. Mientras tanto Félix, sano y salvo en su oficina, había decidido hacer un show suave, hasta se podría decir melancólico, ideal para un día lluvioso de invierno. Así que decidimos hacer ambas cosas. Comenzamos el show con varios remixes bailables y canciones movidas y llenas de sabor colombiano. Realmente tenemos de todo: el estilo champeta de La Makina Del Karibe, los ritmos caribeños de El Guincho (en una colaboración inesperada pero perfecta con la estrella del electro pop chileno, Javiera Mena), la inigualable mezcla de tradición afro-peruana y tecno de Novalima, y un fantástico remix del icónico bullerengue de Petrona Martinez, producido por DJ Maga Bo. Y como si todo eso fuese poco les presentamos al DJ argentino Alonso Morning, cuyas canciones yo podría escuchar todo el día y todos los días. Nosotros, de vez en cuando, ponemos al aire bandas que adaptan canciones clásicas de rock a un estilo cumbia o merengue (estoy pensando en la banda mexicana Tropikal Forever.) DJ Alonso Morning tiene un nivel artístico único dentro del género. Mezcla canciones de manera tan impecable, que literalmente las fusiona, convirtiéndolas en algo completamente nuevo. La canción "Matadoors", por ejemplo, su es una fusión de "Matador" (el clásico de Los Fabulosos Cadillacs" y "Break On Through (To the Other Side)" de The Doors. Después de todo esto, a relajarse con la música que escogió Felix. Una canción melancólica y suave del nuevo álbum de Rodrigo y Gabriela, y algo lento del dúo colombiano-cubano Alejo Aponte y Latonera. Y solo para demostrar que yo soy capaz de apreciar la música relax agrego una canción de Danay Suarez, una artista cubana para enamorarse. Tiene un aire a Caribe cósmico, con claras influencias de India.Arie y Erykah Badu. El show de esta semana es posiblemente uno de los más desordenados que hemos hecho. ¿Y saben algo? Está entre mis favoritos. Así que si están, como estaba yo, envueltas en una frazada, casi delirantes de fiebre y soñando con una bebida tropical, o llegando a su trabajo en su sweater mas grueso y una taza de chocolate caliente, como Felix, hay para todos, y a disfrutar de las subidas y bajadas de nuestro programa. Find out more about Guincho at his website. 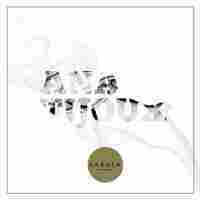 Find out more about Javiera Mena at her website. 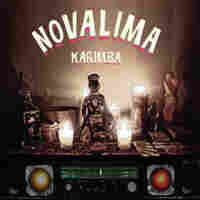 Learn more about Novalima here. More about Ana Tijoux on her website. 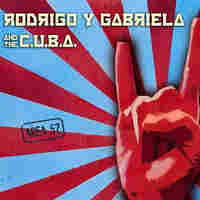 More about Rodrigo y Gabriela on their website. Hear the entire EP here. 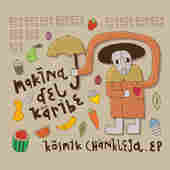 More about Makina Del Karibe here. 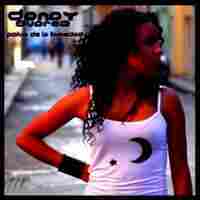 More about Lido Pimienta here. More about Alonso Morning here. More about Maga Bo here. More about Petrona Martinez here. 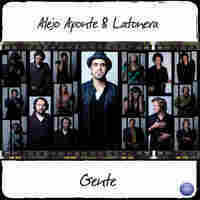 More about Alejo Aponte Y Latonera here.